The utility of experimental science. He who wishes to rejoice without doubt in regard to the truths underlying phenomena must know how to devote himself to experiment. For authors write many statements, and people believe them through reasoning that they formulate without experience. Their reasoning is wholly false. For it is generally believed that the diamond cannot be broken except by goat’s blood, and philosophers and theologians misuse this idea. But fracture by means of blood of this kind has never been verified, although the effort has been made; and without that blood, it can be broken easily. For I have seen this with my own eyes, and this is necessary, because gems cannot be carved except by fragments of this stone. Therefore all things must be verified by experience. Since this experimental science is wholly unknown to the rank and file of students, I am therefore unable to convince people of its utility unless at the same time I disclose its excellence and its proper signification. This science alone, therefore, knows how to test perfectly what can be done by nature, what by the effort of art, what by trickery, what the incantations, conjurations, invocations, deprecations, sacrifices that belong to magic, mean and dream of, and what is in them, so that all falsity may be removed and the truth alone of art and nature may be retained. This science alone teaches us how to view the mad acts of magicians, that they may be not ratified but shunned, and is of the greatest advantage in persuading men to accept the faith because it is the only branch that considers matters of this kind, and is able to overcome all falsehood and superstition and error of unbelievers in regard to magic. 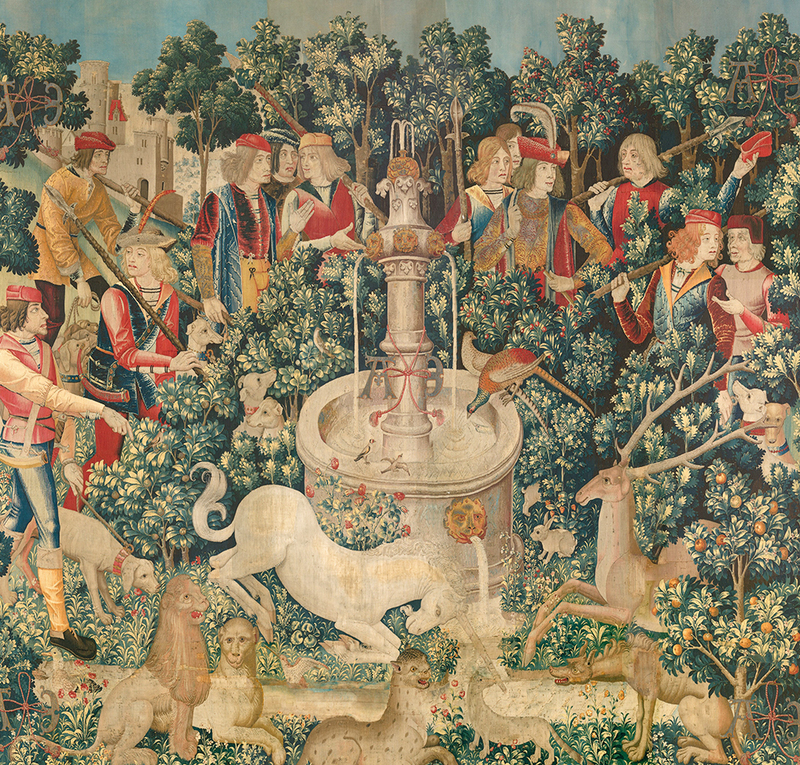 The Unicorn Is Found, from the tapestry series The Hunt of the Unicorn, c. 1500. The Metropolitan Museum of Art, Gift of John D. Rockefeller Jr., 1937. We must consider that although other sciences do many wonders, all things of such wonderful utility in the state belong chiefly to this science. For this science has the same relation to the other sciences as the science of navigation to the carpenter’s art and the military art to that of the engineer. It teaches how wonderful instruments may be made, and uses them when made, and also considers all secret things owing to the advantages they may possess for the state and for individuals; and it directs other sciences as its handmaids, and therefore the whole power of speculative science is attributed especially to this science. And now the wonderful advantage derived from these three sciences in this world on behalf of the Church of God against the enemies of the faith is manifest, who should be destroyed rather by the discoveries of science than by the warlike arms of combatants. By these means, tyrants in times past brought the world under their sway. Alexander the Great set out from Greece with only 32,000 foot soldiers and 4,500 horsemen and easily subdued the rest of the world. Nor is it to be wondered at, since Aristotle, his teacher in all knowledge, was with him in these wars; and it is easily apparent from what has been said how by the paths of knowledge Aristotle was able to hand over the world to Alexander. Moreover, the Church should consider the employment of these inventions against unbelievers and rebels, in order that it may spare Christian blood, and especially should it do so because of future perils in the times of Antichrist, which with the grace of God it would be easy to meet, if prelates and princes promoted study and investigated the secrets of nature and of art. From Opus Majus. Around 1257 Bacon resigned from secular scholarly life and joined the Franciscan order. In the early 1260s he sought patronage from Cardinal Guy de Foulques, hoping to bring scientific study to universities, where it remained unavailable. He was rebuffed, but in 1265 Foulques became pope and Bacon tried again, now receiving a reply requesting him to send writing “as quickly and secretly as possible.” In response, he completed this 840-page treatise of natural science. Clement died in 1268; Bacon continued working without church support.